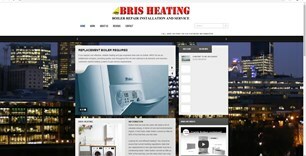 Boiler Repair Installation & Service Ltd - Central Heating Engineer based in Bexleyheath, Kent. We are a team of experienced boiler engineers based in Bexleyheath, covering Kent, Essex and South East London. We offer a Fast, Friendly, Reliable and Affordable service. Our services range from boiler repairs and fault diagnosis through to full central heating installations. Our initial assessment is free with a free no obligation quotation.